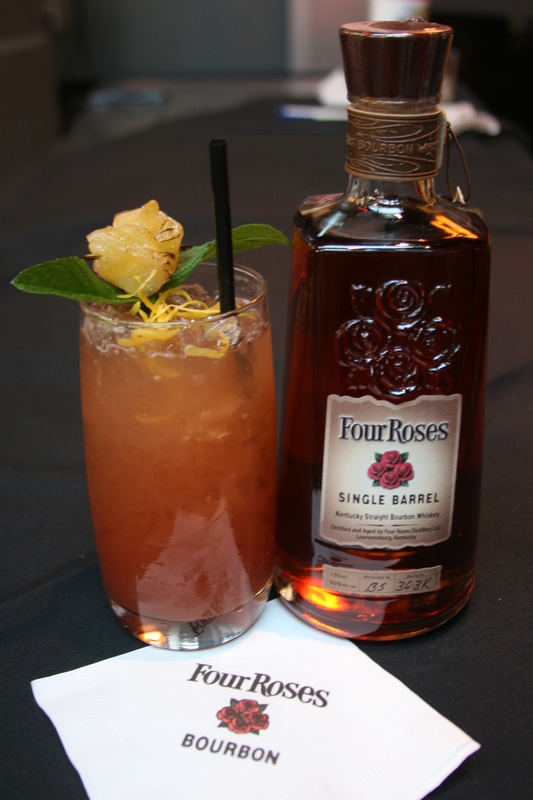 This is the 1st place winning recipe in the 2010 Four Roses Julep Contest. Using a large mixing glass, muddle gastrique and mint. Add bourbon and shake well. Pour into tall highball glass and top with equal parts tamarind soda and ginger ale. Garnish with candied ginger rose, mint sprig and lemon zest.